Rabbi Yaakov Bender was born in the Williamsburg section of Brooklyn to a family that has been steeped in Torah learning and education for generations. His father, Rabbi David Bender, was the principal of the Yeshiva Torah Vodaath in Brooklyn, and was deeply involved in the rescue of European Jewry during WWII. His mother, a devoted student of the legendary Sara Schenirer, founder of the Bais Yaakov movement in Cracow, Poland, arrived on these shores on the last boat out of Poland before the War. Here, she continued her teacher's work and helped found the Bais Yaakov movement in America, a pioneering effort to educate girls from very observant families. As a young child, exposed to both his parents' activities in combining Jewish education with acts of great kindness, Yaakov Bender dreamed that he would someday be able to follow in his parents' footsteps. While still in high school, Yaakov Bender became the branch leader of the Pirchei Youth Movement of Agudath Israel of America. A graduate of Mirrer Yeshiva Central Institute, he received his rabbinical ordination there in 1971. After his marriage in 1972 to Ms. Bryna Diskind, also an educator, and the daughter of educators, he continued his post-graduate studies at the Mirrer Yeshiva. In 1973, Rabbi Bender founded the Flatbush branch of the Hatzalah Volunteer Ambulance Squad. He served on the Central Board of Hatzalah for 20 years. 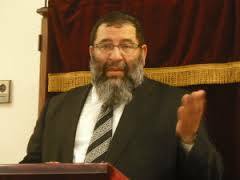 In 1978 he moved to Far Rockaway to take his first formal teaching position at Yeshiva Darchei Torah. He also founded a Hatzalah branch there as well. Six months later, he was chosen to lead the school as its principal. Under his leadership, the yeshiva has grown from a small school with a student body of 140 students to a widely known and respected Torah institute of more than 800 students. Rabbi Yaakov Bender feels that his greatest accomplishment in education is his founding of the Rabenstein Special Education Center at the Yeshiva. More than 100 special education and multihandicapped students from all over the country are served by what is considered to be one of the best special education centers in the United States.